As a follow-up to my post on favorite Halloween picture books for kids, here’s a list of great children’s Christmas books. 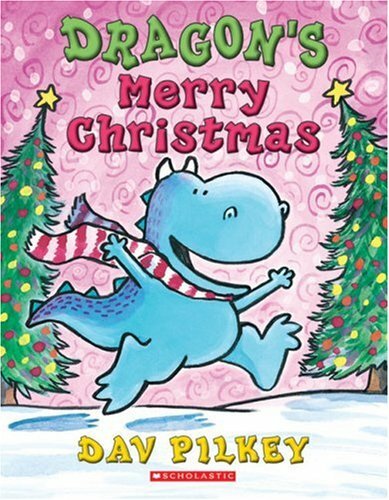 Dragon’s Merry Christmas, by Dav Pilkey (1991). This early reader is divided into four chapters following Dragon (a cheerful, blue, horned beast) as he makes preparations for the holiday. In “The Perfect Christmas Tree,” Dragon searches for the perfect tree, but once he finds it he can’t bear to cut it down, so decorates it where it stands. 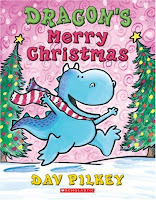 In “Merry Christmas, Dragon,” he buys himself some presents but gives them away to creatures in need: food for hungry raccoons, a coat for an elderly rhino, and a birdhouse for a pair of lovebirds. This sweet story teaches the importance of giving. Olive, the Other Reindeer, by J. Otto Seibold and Vivian Walsh (1997). 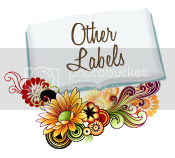 Olive is a cute little terrier who mishears the song lyrics, “All of the other reindeer” as “Olive, the other reindeer.” She figures she is meant to go to the North Pole to join Santa’s reindeer. Santa and Comet aren’t sure why the small dog is there but give her a chance, and she saves the day by using her super-sniffer to guide the sleigh through the fog. 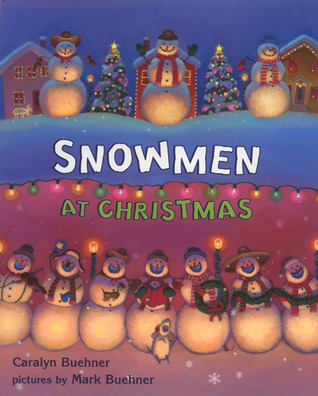 Snowmen at Christmas, by Caralyn Beuhner and Mark Beuhner (2005). 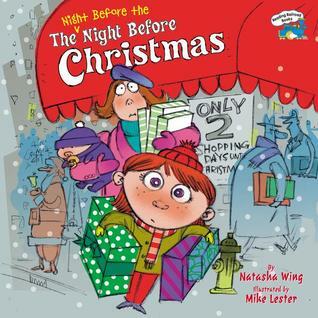 In this gorgeously illustrated picture book, while people are asleep on Christmas Eve night, snowmen gather in the town square for dancing and tree-trimming. The snowy scenes glow with light and color, and each illustration has bonus hidden shapes for kids to find. “Things will get better, I thought, as I crawled into bed. Maybe visions of sugarplums will dance in my head. Instead, I lay wondering, gazing up at the moon. These things are just stuff. Have a happy holiday season from Bookshop Talk! This is one of my favorites. Totally funny to read aloud. 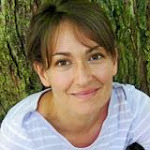 Thanks for these great recommendations, Laura! OLIVE, THE OTHER REINDEER, is a favorite at my house, too. 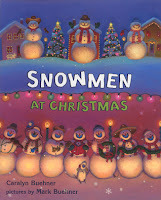 SNOWMEN AT CHRISTMAS has the most amazing illustrations! The pages really do seem to glow with that special wintry light! 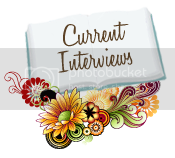 I also love RED RANGER CAME CALLING, by Berkeley Breathed, and THE CHRISTMAS MIRACLE OF JONATHAN TOOMEY, by Susan Wojciechowski (illustrations by P.J. Lynch--probably my favorite illustrator. I have a version of A CHRISTMAS CAROL which he illustrated, and it's a prized possession.). And no Christmas is complete (in my home) without Clement C. Moore's TWAS THE NIGHT BEFORE CHRISTMAS. But I have yet to find a pretty book version. Anyone have a recommendation? Kim, I haven't found a good NIGHT BEFORE CHRISTMAS yet, either. We had a reasonable version that the dog ate, and then the replacement version has cute illustrations but is irritatingly lacking in the copy editing department. Baby Christmas by Michael Lawrence quickly became a holiday classic for me and my kids. It's the adorable story of baby Christmas, son of Father and Mother Christmas who goes on a Christmas Eve ride of his own. It also uses the phrase, "A frizzle, a frazzle, a frumpety-froo" which has become a year round favorite phrase for us. I just took out a really interesting Christmas book called The Third Gift by Linda Sue Park. It tells the story of a young boy who harvests the myrrh the wise men give to the Christ child. The illustrations are incomparably gorgeous - my daughter wondered if they were photographs.